In 2011, more than 60,000 Texans older than 50 were hospitalized for falls. And 95 percent of hip fractures are the result of falls. Those who do fall are afraid of falling again. High-tech gear is helping some people get over their fear of falling — and helping others prevent future falls. And a local hospital is using technology and teamwork to reduce falls among patients. Nine years ago, Joyce Powell was in a hospital, on her way to the bathroom, when she fell and broke her hip. She recovered. But there’s something she hasn’t gotten over: A fear of falling. Nine years ago, Joyce Powell fell and broke her hip. Although she recovered, she’s still overcoming the fear of falling. “The greatest predictor of a future fall is a previous fall,” says Chris Ray, the kinesiologist leading the efforts at UT-Arlington’s Center for Healthy Living and Longevity. Joyce Powell, with her husband, Thomas, says she’s felt more confident getting around and traveling since she began exercise classes at UT-Arlington. Learn how John Peter Smith Hospital in Fort Worth is trying to reduce falls among patients, thanks to technology and teamwork. 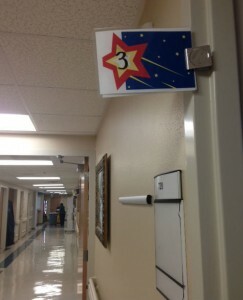 At John Peter Smith Hospital in Fort Worth, gold stars indicate a patient’s risk of falling. That’s how many patients fell inside of John Peter Smith Hospital in Fort Worth last year. 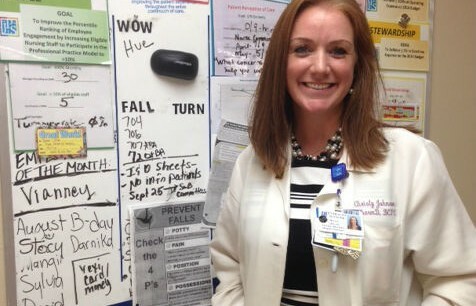 Rodgers is a nurse leading a project to reduce falls at the hospital. Of those 632 falls, only one person broke a hip. Still, it cost JPS. The hospital alone had to pay more than $500,000 for things like diagnostic tests. Then there’s the price families pay. Rodgers knows that firsthand. 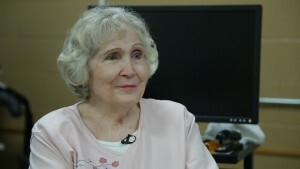 Her 83-year-old mom fell twice while in the hospital this year. Every shift change, JPS nurses gather around a whiteboard to review which patients are considered a fall risk and why. In the past, nurses were on their own when it came to preventing falls. Now, even the pharmacists are involved. Johnson says it used to be labor intensive for pharmacists to review medications and calculate fall risk. Now, with electronic medical records, it’s easy to automatically come up with a fall risk score for each patient. “Now, every order that they write generates a score in the background that [gets sent] to the pharmacy, so that we are aware — like this new med causes them to be at increased risk, so in real time we’re able to see that,” Johnson says. 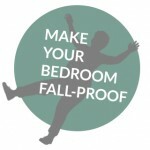 Another technology that’s helping to prevent falls is a sort of high-tech bed alarm.  The standard bed alarm goes off when a patient tries to get out of bed, but it often goes off too late for a nurse to sprint in and help. Fall monitors – JPS uses one called the “sitter” – use sensors to detect slight movements, and the messages can be personalized. Communicating the risks to patients and their families can be tricky. Nurse Sylvia Baker says for many patients, getting out of the bed and going to the bathroom alone is a statement of independence. Elisabeth Rodgers is a nurse leading a project to reduce falls at JPS. 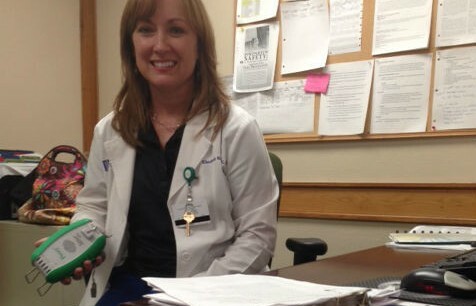 Christy Johnson manages JPS' clinical pharmacy. 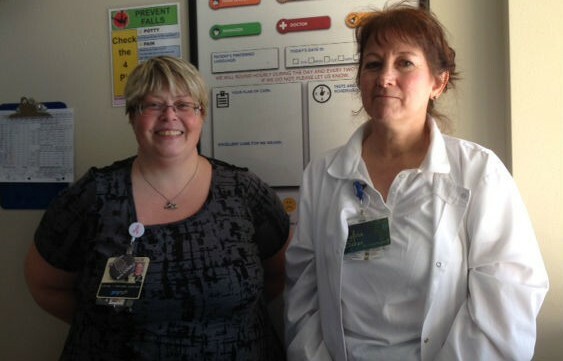 Julie Griffith and Sylvia Baker are nurse team leaders in JPS' oncology unit. Over the past six months, JPS has cut back falls by 10 percent – that means they’ve prevented more than 30 falls. All hospitals are trying to prevent falls, says Patricia Dykes, who studies patient safety for Brigham and Women’s Hospital in Boston. She says after Medicare stopped reimbursing for fall-related injuries in 2008, hospitals across the country have been trying to step up their slip prevention. Until 2011, no one had done a clinical trial showing what worked. So Dykes and her team investigated. 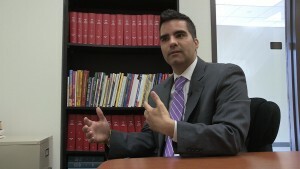 “What we found is falls at hospitals are really a communication problem,” Dykes says. Nurses conduct a risk assessment and make a fall prevention plan, but that plan isn’t shared with other team members, or the patient, or their family. It’s like hiring a consultant and putting the recommendations in a shoebox. Dykes says the fall prevention program is on the right track, using a combination of technology and old-fashioned communication. Read more about UT-Arlington’s initiatives to improve the health of seniors. Explore UT-Arlington’s Center for Healthy Living and Longevity. 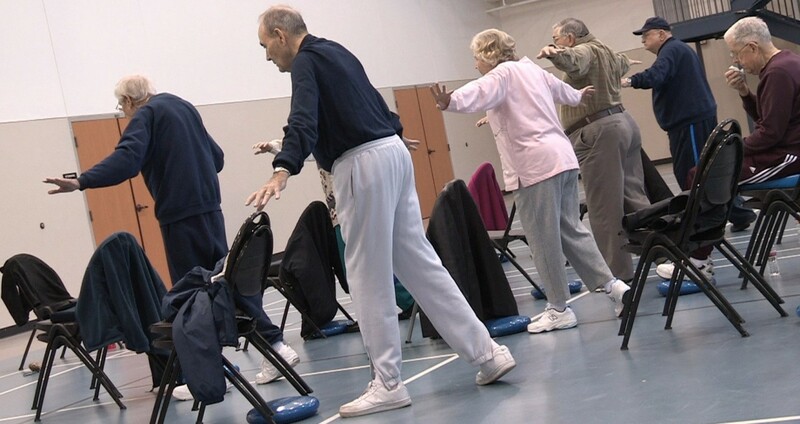 Learn more about a study that determines that exercise can prevent falls in older people. Read Patricia Dykes’ study about fall prevention in hospitals.